Add a touch of sleek sophistication to your home with the Jester Rug by Serge Lesage. The artistic composition has textural features and subtle tones to create a dynamic carpet design. 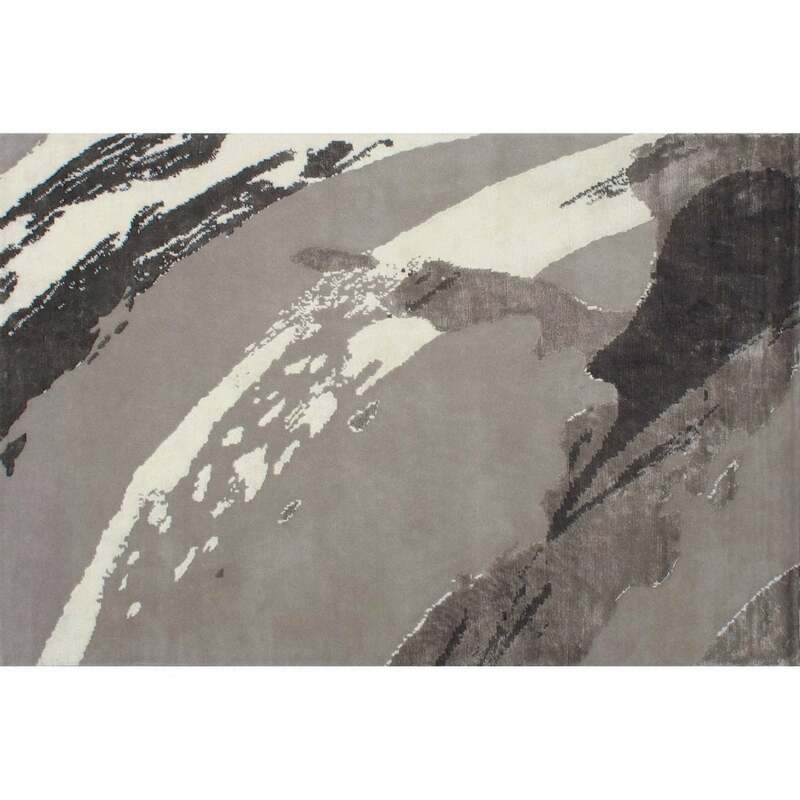 Varying tones of grey form a painterly effect that splashes across the expanse of the carpet. With a base shade of silver grey, dark coloured threads and soft creamy greys are raised above to create depth and texture. A versatile piece with designer appeal, Jester will suit both contemporary and traditional interiors. Hand-knotted by skilled artisans, this stylish rug is crafted using the finest New Zealand wool and viscose blend. Available in both standard and bespoke sizes. Get in touch with our team for more information and advice.